Warriors who want a function and form in their plate armour are sure to be impressed by the Steel Markward Bracers. The steel bracers feature a central bend running down the front, adding strength and stiffness to the design. The sleek arm armour shows off a bright metal finish that goes especially well with other pieces of our Markward-style armour. The sloped sides of the top add a touch of elegance to the plate armour, giving it a unique look. 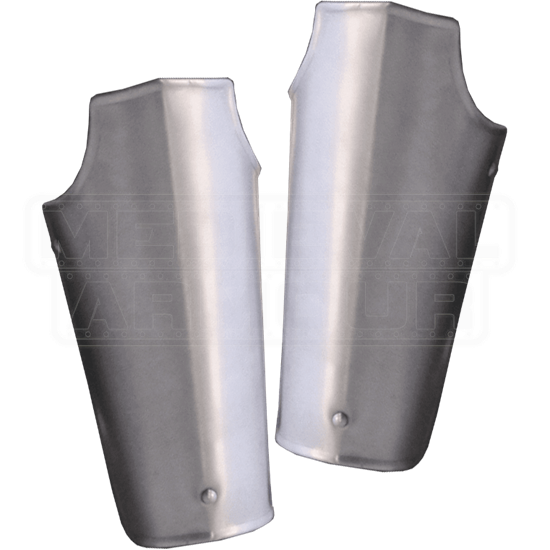 When planning your LARP or re-enactment ensemble, make sure to consider these excellent metal bracers. We recommend wearing padded arming wear underneath for increased comfort.